Lucky is a 1½ year old female Labrador Retriever who was brought to us with an eye injury. The injury occurred when she was running through a wooded area and suddenly yelped and came back with her right eye closed. 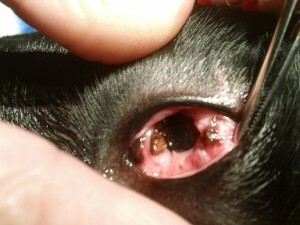 Dr. Bruce was able to gently lift the eyelid and see a small piece of wood sitting in the area beside the eye. Lucky was too sore for us to remove it so we sedated her with intravenous butorphanol and dexmedetomidine. Now Dr. Bruce could see that it was a bigger piece of wood than it appeared, and that it was lodged in the pocket between the eyeball and the socket. Fortunately there was no penetration of the eyeball, but removing a piece of wood from the eye socket required general anesthesia. 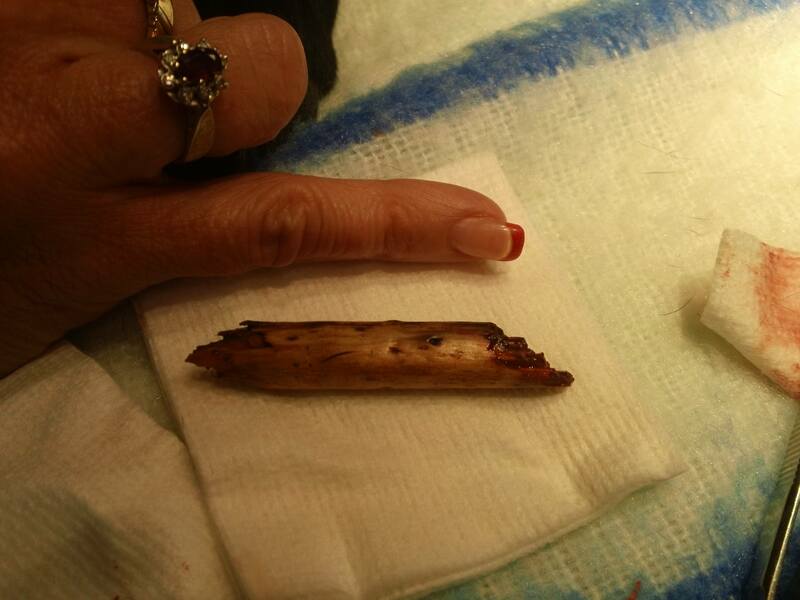 With Lucky under isoflurane anesthesia, Dr. Bruce was able to extract the “little” piece of wood. As you can see, the wood splinter was 5cm long (2.5 of Dr. Debbie’s knuckles). 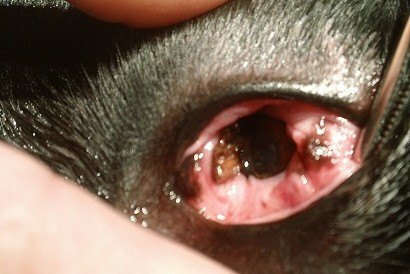 Lucky had a small corneal erosion from the wood which healed with 2 weeks of topical antibiotics. Today Lucky is her same old self with perfect vision and no long term problems!